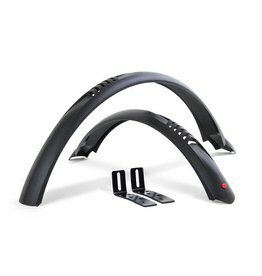 Mudguards aren't the most exciting cycle component; but they are one of most useful. 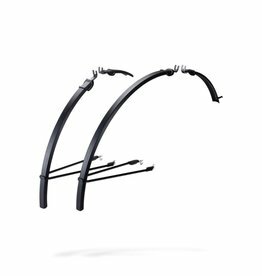 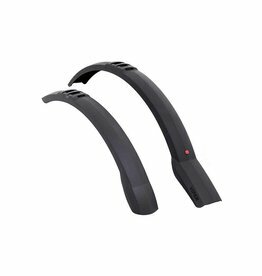 Bike mudguards help to keep you and your bike cleaner, and more comfortable; on those wet and muddy rides. 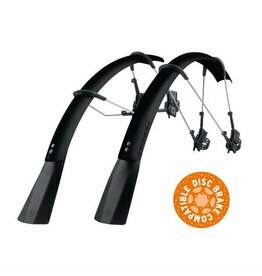 Whether you have a road bike, mountain bike, cyclocross bike or touring bike; there is an extensive choice. 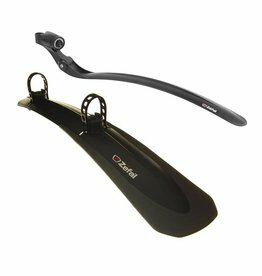 Some offer more protection than others, and some are easier to fit and remove. 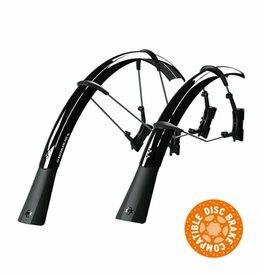 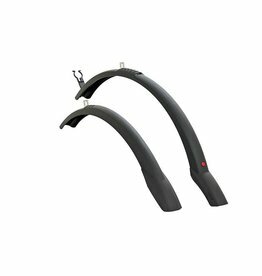 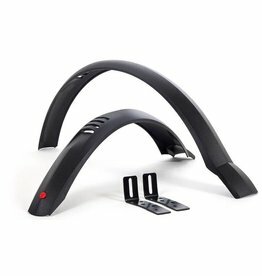 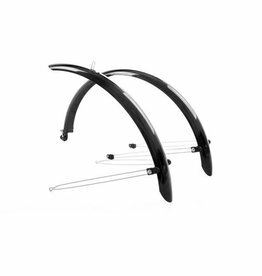 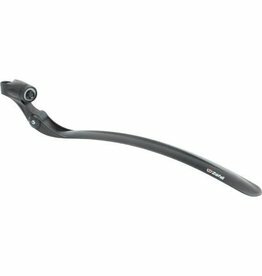 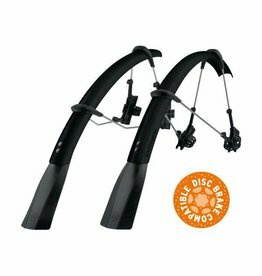 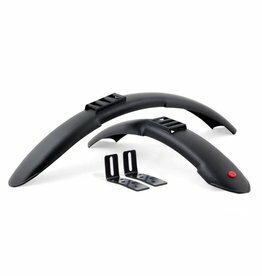 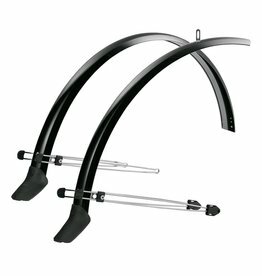 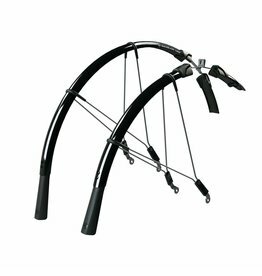 MUDGUARD SET HEBIE 756 16"